Patients come to see me for different aches and pains. Many of my clients have back pain. Back pain can be the result of poor posture, repetitive bending, over reaching yourself, among other factors including body weight. Loosing weight is often something that will help my chiropractic clients reduce their pain as well as start feeling better as a whole. 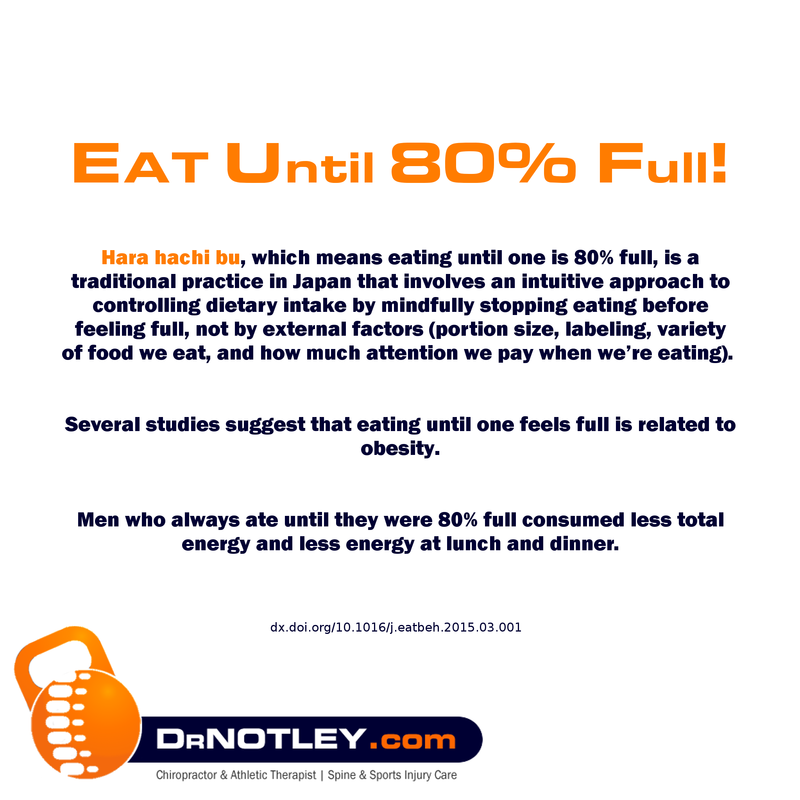 The concept of hara hachi bu, to eat until you are 80% full, is a great way to start towards building a habit based way of eating. Instead of restricting your diet simply be aware of how your body is feeling. How full does it feel? You really won’t know what 80% full feels like but if you remain conscious of how your body feels when eating you will start to learn that you can get away with a little less that what you are regularly eating. This entry was posted in Infographic, Nutrition by Christopher Notley. Bookmark the permalink.